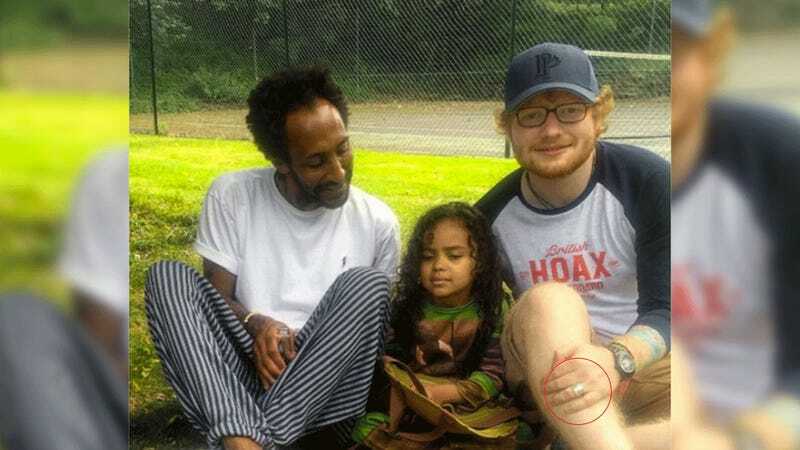 Would You Be Personally Affected By News of Ed Sheeran’s Marriage? If, hypothetically, you discovered today that English singer-songwriter-Swift apologist Ed Sheeran secretly married his girlfriend Cherry Seaborn recently, would you “freak out” like MTV UK says many did upon hearing the news? Or would you see the headline “IS ED SHEERAN MARRIED,” scratch behind your ear while squinting one eye, and close the tab without reading the story? This is just something I’d like you to think about. Now I’m imagining that response as the only one he’s capable of. Is Lindsay voting for Trump? Is Lindsay LOVING Stranger Things? People’s cover this week is...not their best work and needs to be turned down several notches.